In second year, we had the opportunity to create various products by doing mini projects. The projects gave me a better feel in what areas I was interested in. 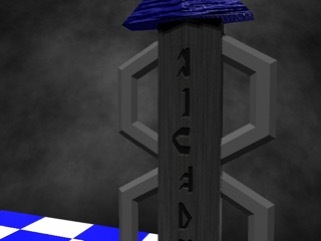 The first project was the choice of creating a game object, or create a piece of media from the title “ Its Magic” or a game environment. 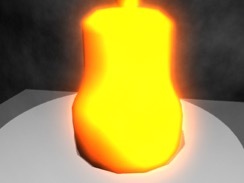 I decided to create a game object for this project. However before i started, a mind map was created. This is because there is alot of interesting objects that are used in games depending on the type of game. 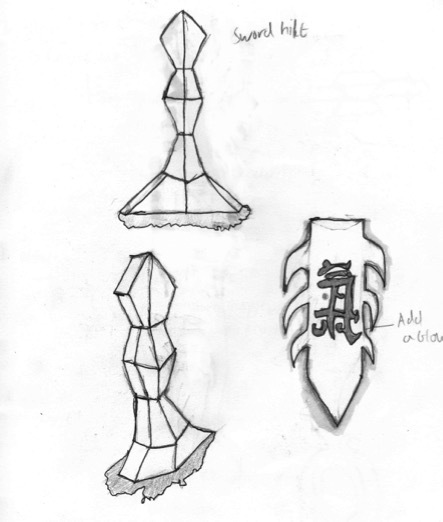 So I have decided to create various potions for this project. So what are Potions really? “Potions: They have been around in RPG and ORMG games and magic games like harry potter and fairy tails. But firstly what are they. A potion is a dose of liquid medicine; it was original used in Greek times as medicine. However over the years it has been though of magical or even poisonous, even believed that witches supposed use them for magic. 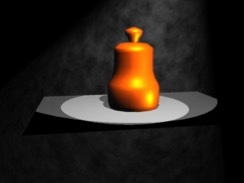 This idea later on has been used in computer games because it is imaginative and supposes to give a different feel”. 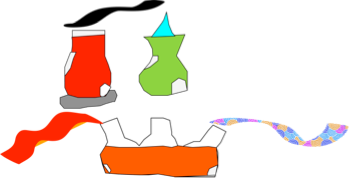 After researching I then decided to create some sketches of the potions and then did an illustration of them in photoshop illustrator to get a idea of shapes and colours. 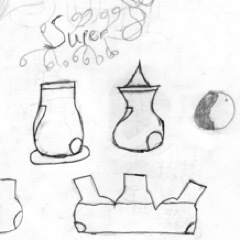 After sketching I then went onto maya and start design prototype and various shapes. 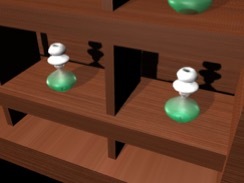 The reason for creating prototypes is to get an idea of what my potion bottles will look like. Below is one of the tests of my potion products. After doing a presentation, i realised that the potions have to be placed or stacked somewhere rather then just existing in a space. So I decided to put the potions in a shelf. 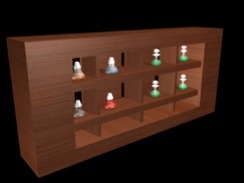 So I went and designed a shelf to put the potions in. After designing it, i realised it is not interesting just having them on the shelf. 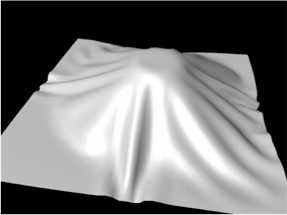 So i designed to add an object and try to change the appearance to my image. 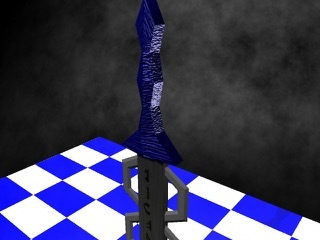 So i decided to create sword to put in the shelf. 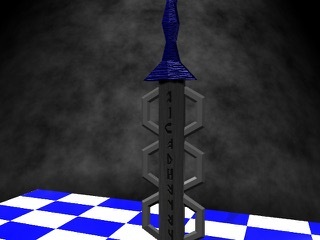 After designing the sword, the shelf and potions were improved by changing the appearance. 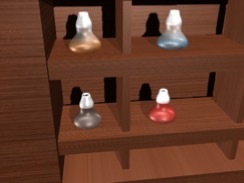 There you have it, a scene of my potions on the shelf. 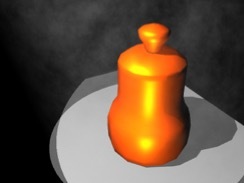 The next improvement is discover how to put liquid into my potion containers!